Here's what to see and what to do in Japan's Otaku paradise! 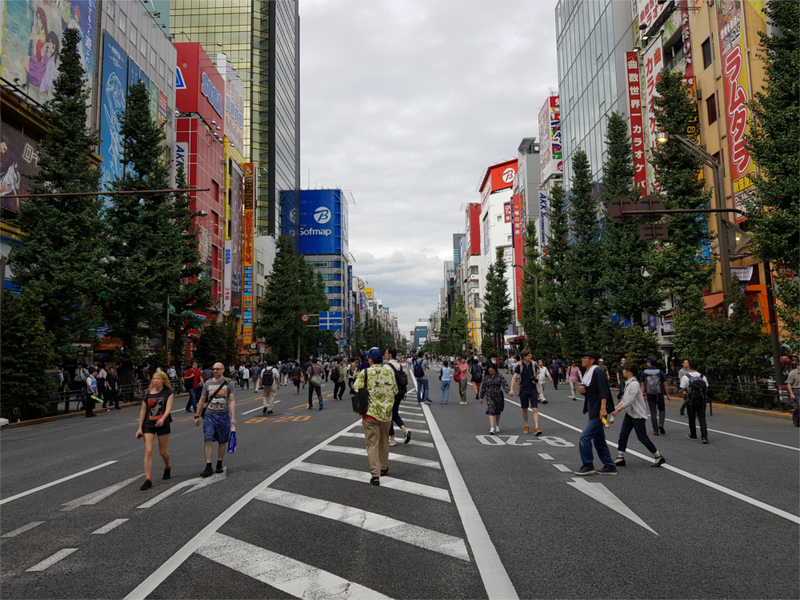 During our coverage of Tokyo Game Show 2018, I was lucky enough to go to Akihabara multiple times (during the days before and after the convention) and explore the area. At first Akiba was overwhelming, given the sheer amount of stores, arcades, and cafes in the area. 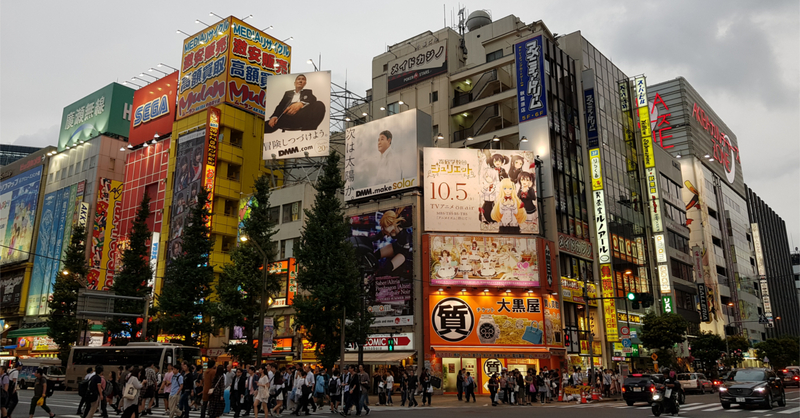 Thankfully though I stayed just a kilometer away from Akihabara, so I was able to dive deep into Tokyo’s ‘Otaku Wonderland‘ and determine which places are must-visits for first-timers. Yodobashi Camera is a chain of department stores in Japan that not only sell camera equipment, but also just about any kind of electronic device that you can think of. 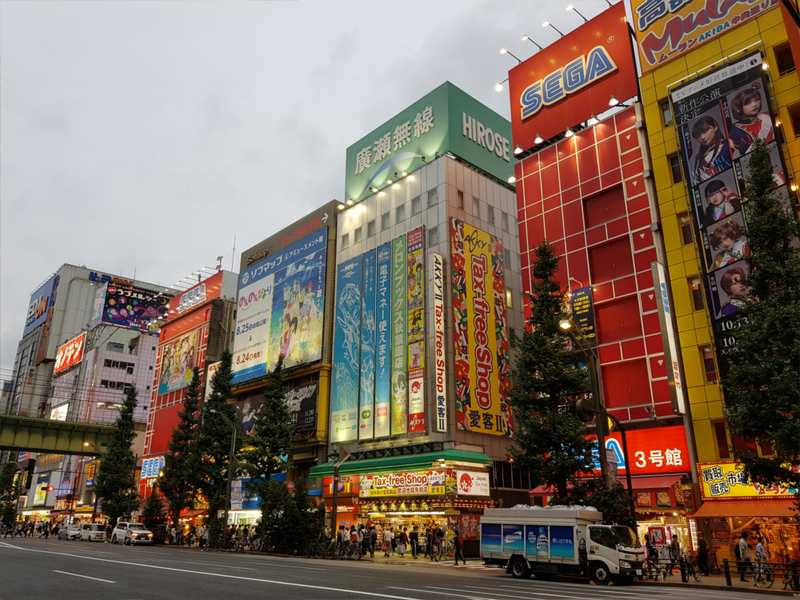 The Yodobashi Camera Akiba branch is one of the biggest in Tokyo, and it’s definitely a place everyone should go to (even if you don’t plan on buying anything). 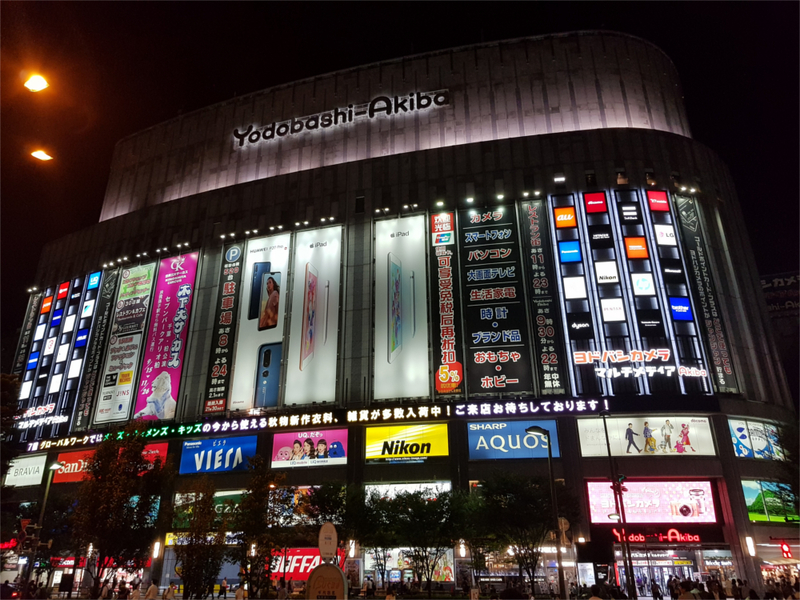 Yodobashi Akiba has a whopping 9 floors, and it has everything from gadgets, appliances, and even a whole floor dedicated to audio equipment. Though if you’re an anime fan/gamers, you should head straight to the 6th floor, as that’s the Toys and Games section of Yodobashi. Not only are there tons of toys and other collectibles, there’s also a massive area dedicated to video games. Sure, you probably won’t buy a game there (given that they’re all in Japanese), but consoles at Yodobashi like the Nintendo Switch is cheaper than in the Philippines; a Switch there costs only around PHP 15,000 and is tax free! And of course, the 6th floor has gashapon as far as the eye can see! Is Yodabashi Camera’s wares are a bit out of your budget, there’s Don Quijote in Akihabara. 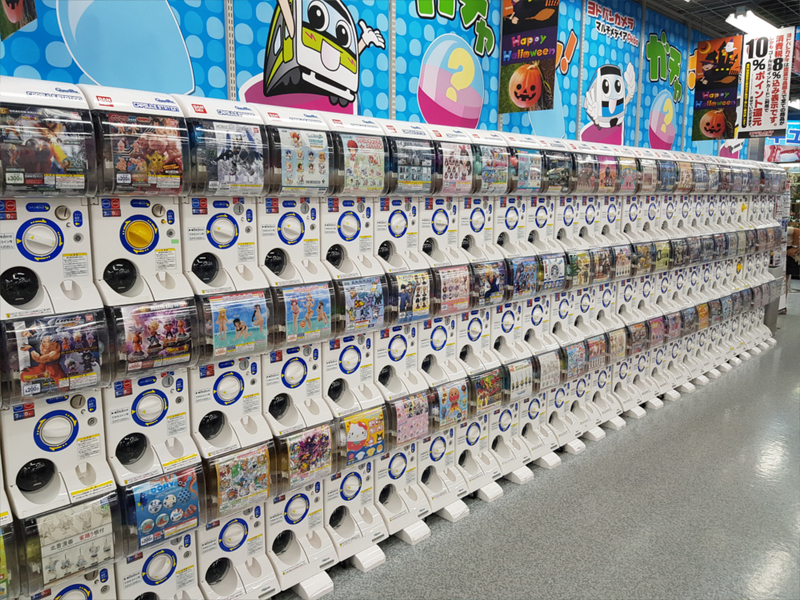 Don Quijote (or Donki for short) is a chain of discount stores in Japan, but as with Yodabashi, the Akiba branch is Donki on steroids! Inside, you’ll find various items, from cool Japanese souvenirs to anime costumes. 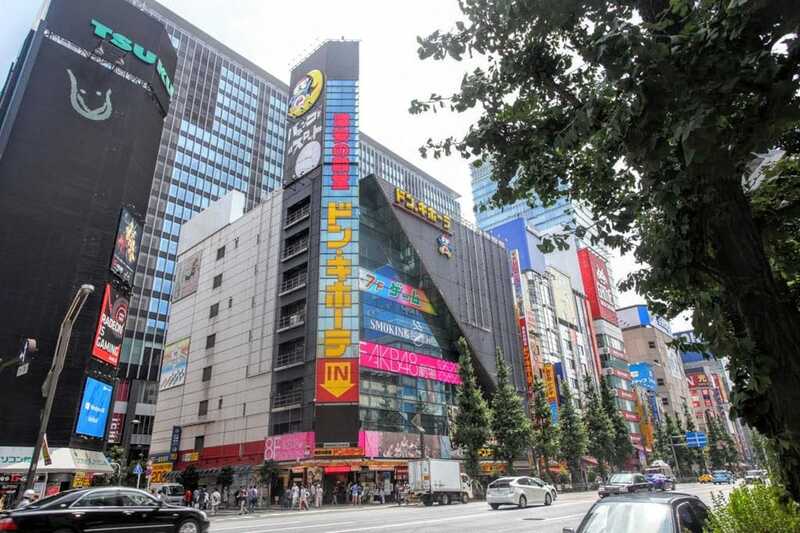 You’re bound to find something to buy at Donki Akiba, all without breaking the bank. The Don Quijote Akiba branch is also home to the AKB48 Theater, though if you’re a fan of the said Japanese idol group looking to watch them live, lot of luck to you. Tickets to AKB48 shows are insanely difficult to get a hold of. If you’re a collector of anime figures, Akihabara is heaven for you, thanks to the row upon row of stores peddling anime figs. Though if you’re at a loss on which store to go to, I suggest going first Volks Hobby Paradise. Not only is the store in a convenient location (just a few meters from the train station exit), it’s also well-stocked and organized. Each floor of the building caters to certain of collectors, and the items are organized either by series (such as Fate/Grand Order of Persona) or by company (like Good Smile Company or Nanoblock). Finally, the top floor of Volks also holds regular pop-up shops. During my stay in Tokyo, there was an exclusive My Hero Academia Pop-Up! Anime figs not up your alley, what about retro consoles? If you’re a big fan of classic Nintendo or Sega consoles, Super Potato is the place for you! Super Potato is a retro gamers paradise, as it sells home consoles and games from the 80s to 90s such as the Nintendo Famicom/Super Famicom, the original PlayStation, and even the Sega Dreamcast. Plus, there’s also cult-classic systems such as the Virtual Boy, and many more! If you’re not shopping for nostalgic consoles, Super Potato is still worth a visit, just head straight to the 5th floor. Super Potato’s top floor contains an awesome old-school arcade which includes games from the 90s such as Metal Slug. Not only is it great for a quick nostalgia trip, it’s also perfect for photo-ops! 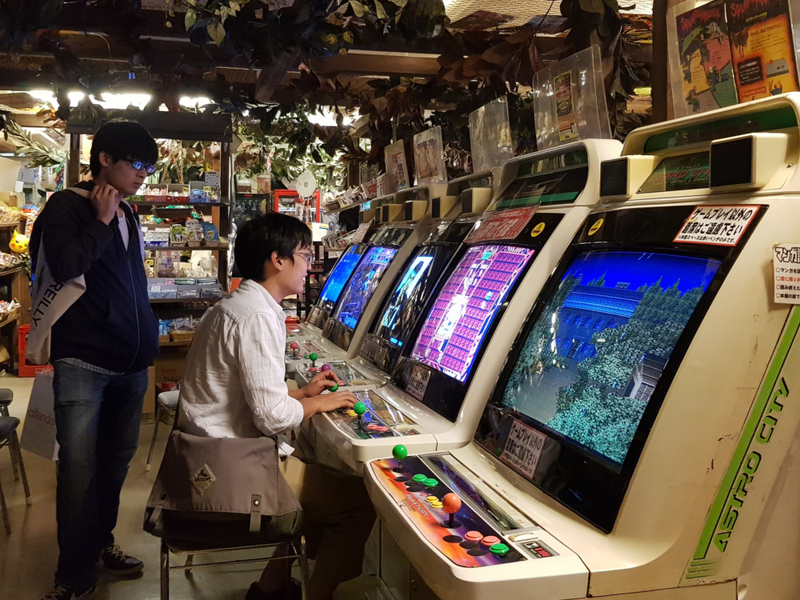 Want to explore more modern arcades? 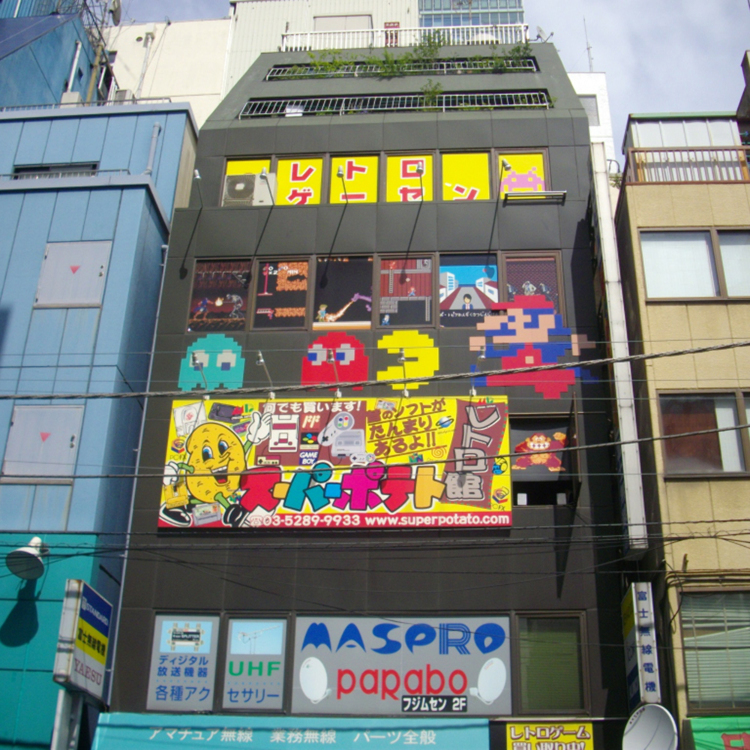 You better head on over to the Sega Arcade buildings in Akiba. 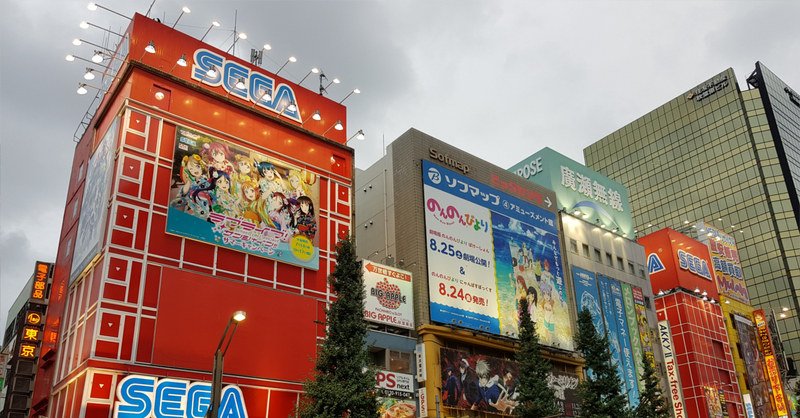 Nope that’s not a typo, there are FOUR SEGA ARCADE BUILDINGS in Akiba! 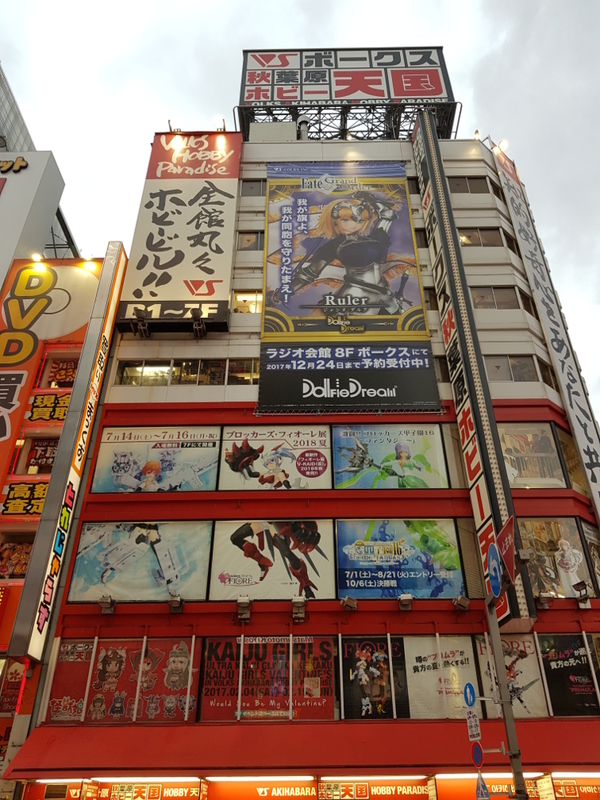 Though no matter which building you go to, you’ll be treated to the latest Japanese arcade games, including the likes of Fate/Grand Order Arcade and many more! If you’re feeling lucky, the Sega Arcades also have a wide range of UFO Catchers with anime-themed prizes up for grabs. Cafes, Cafes, and more Cafes! Need a rest from all the exploring? Good thing Akiba has lots of cafes where you can recover from all the walking with some food and drinks. The cafes in Akiba are far from ordinary though, as there are three major themed-cafes in the area! The first is the Square Enix Cafe (located below Yodobashi Akiba) for fans of Final Fantasy, Dragon Quest, and all other Square Enix IPs. The next is the Gundam Cafe which is a must-visit for mecha fans. Then there’s the AKB48 Cafe for fans of the the Japanese Idol group. One thing worth mentioning are maid cafes. If you really want to try them out, go right ahead. Though in my opinion, maid cafes generally not worth it. Most of the food and drinks overly expensive, and there’s just a creepy vibe to some of the cafes. If you must go, @home cafe in Akiba is regarded as one of the better maid cafes, and should be friendly to foreigners. As for when to visit Akihabara, I recommend going on a Sunday. Practically all the stores are open on Sunday, and the main road is closed to vehicles, meaning Akihabara is very pedestrian friendly on those days. Remember to get there by the afternoon though, as a lot of the stores close early (around 6 or 7pm). 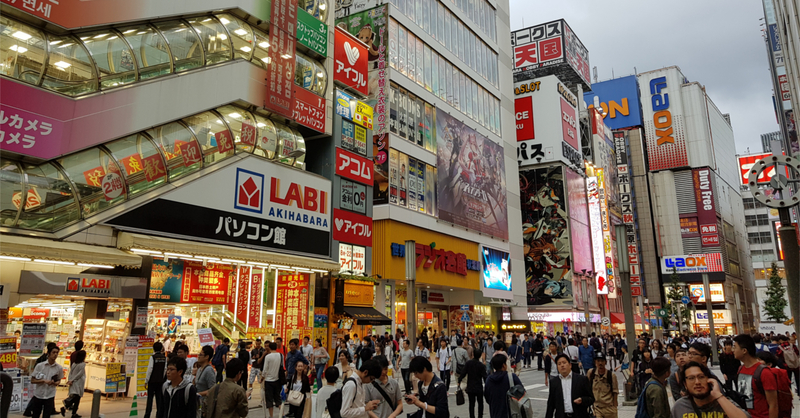 Finally, aside from visiting the aforementioned spots, don’t be afraid to explore more of Akiba, as you’re bound to discover a lot of other equally awesome places! Looking for a place to stay near Akihabara? Look for places in the Asakusabashi area, which is near Akiba and has a selection of hostels that won’t break the bank. During my trip, I stayed in Little Japan, which is a great hostel in Asakusabashi that’s reasonably priced and quite near Akiba. Previous articleMy Hero Academia Season 4 confirmed!